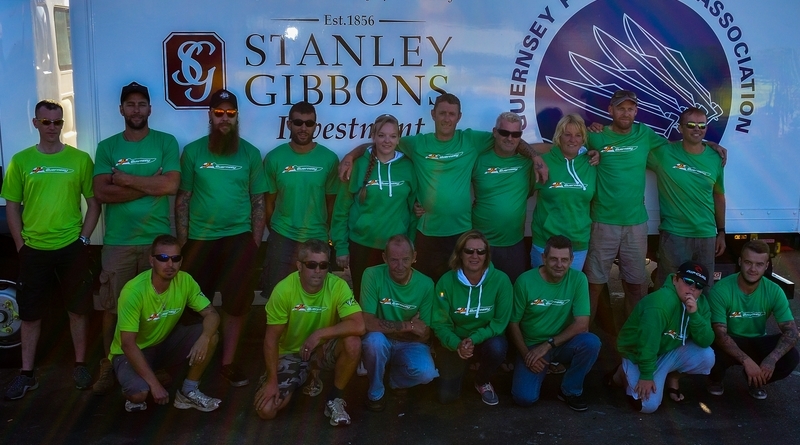 Thirty plus members of the Guernsey Powerboat Association (GPA) will be crossing the Channel this week to attend the prestigious Cowes Classic 2016 event which will be held this Sunday, 4th September. 3 of those that will be attending the Event will help to form the organising team, Paul Mahy as Assistant Officer Of The Day, Steve Lowe as Assistant Safety Officer and Colin Le Conte as Chief Time Keeper. The travelling members from the Guernsey contingent also include competitors, Dave Corbet and Kerry Le Patourel will be sparing against Martyn Roberts and Tim Abbot for the V24 RYA British Championship over the Cowes Poole Cowes race. Corbet and Le Patourel have a newly fitted engine and impressed recently in Jersey with a dominant display and it was apparent they had gained a fair few mph with the new installation. Roberts and Abbot currently lead their local GPA V24 Championship but need to beat V8 Diablo Racing to secure the National Championship. Gareth Keast paired with stand in Navigator Jamie Marquand in B92 – The Governor, will be up against Mark Terry and Sue Cosgrave in B88 – Dirty Deeds. The Guernsey racers will settle the RYA British 3B Championship at Cowes over a long and punishing Offshore course. Club Class 3 will boast UIM Word Championship Silver Class 3A medallist’s Paul Etasse and Chris Stonebridge in A61 Slayer. The team have spent many hours getting the boat repaired and rebuilt after suffering damage in Norway during the World Championships. I raced at Cowes last year with Chris thanks to Kerry Bobin who loaned me a boat. Since I was young, I have dreamed of racing there, being in the Cowes Yacht Haven and rubbing shoulders with the Marathon teams, that dream happened last year. This year, I have unfinished business. Jack Bobin beat me in the World Championship’s in Norway a couple of months ago, a victory over him in the Cowes Poole Cowes race and a celebration in the Royal Yacht Squadron on Sunday evening, should make Guernsey very proud.